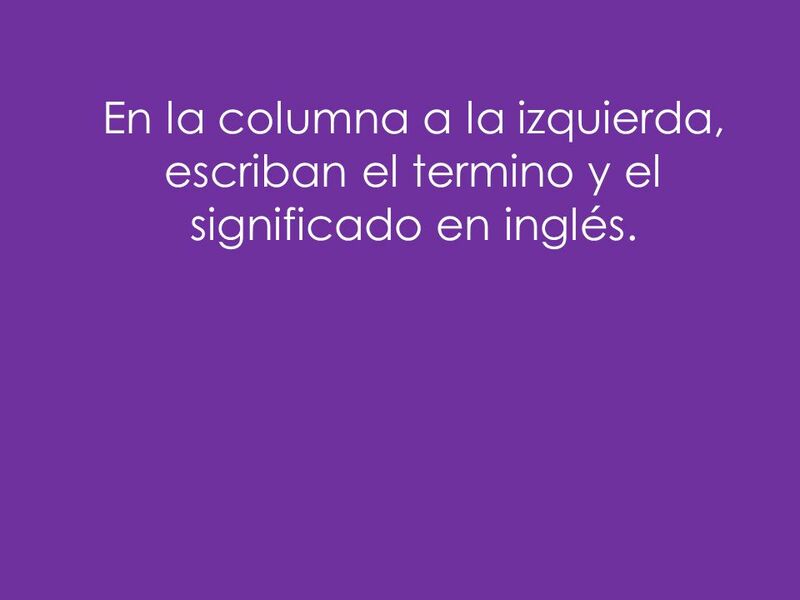 1 En la columna a la izquierda, escriban el termino y el significado en inglés. 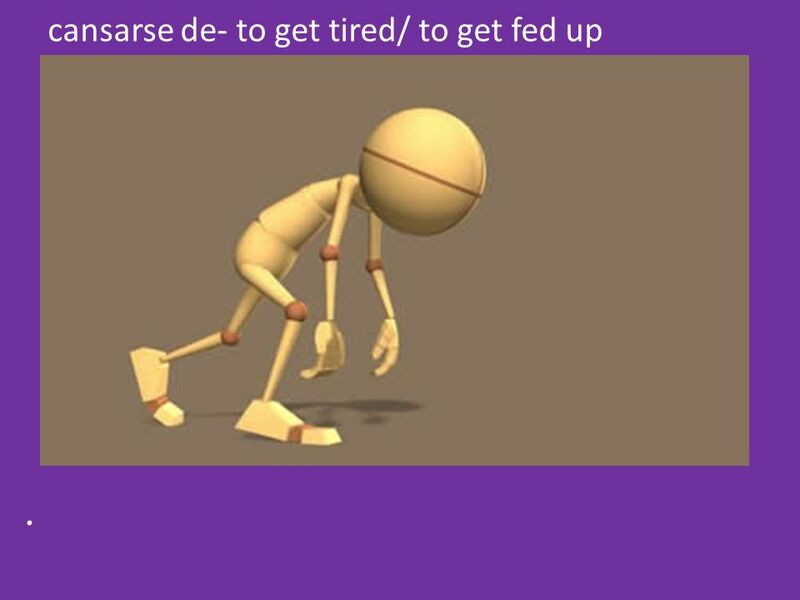 2 cansarse de- to get tired/ to get fed up. 10 You dont have to worry about the bills! 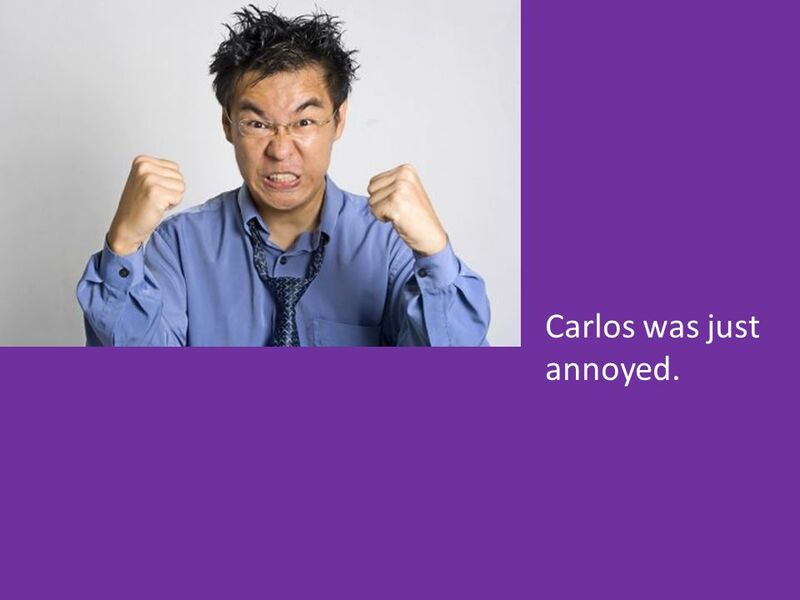 11 Carlos was just annoyed. 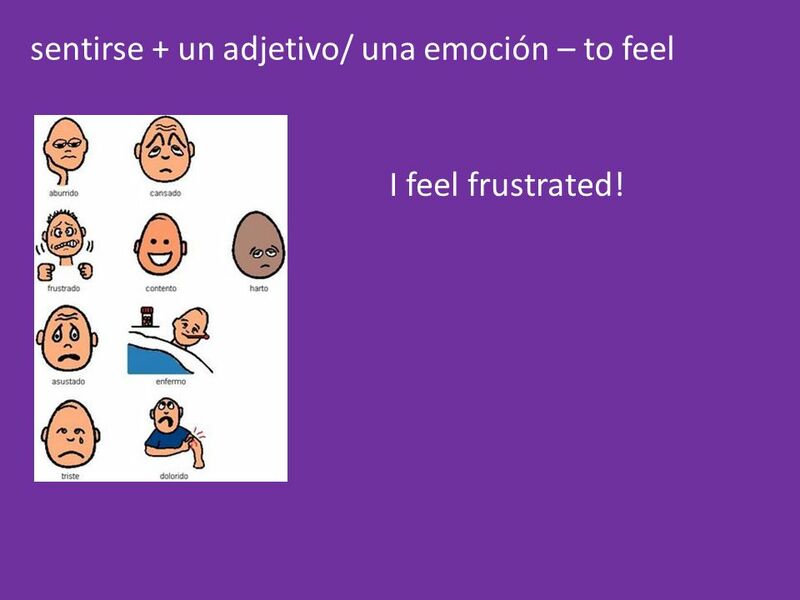 13 sentirse + un adjetivo/ una emoción – to feel I feel frustrated! 21 En la columna a la derecha, traduzcan las siguientes frases al español. 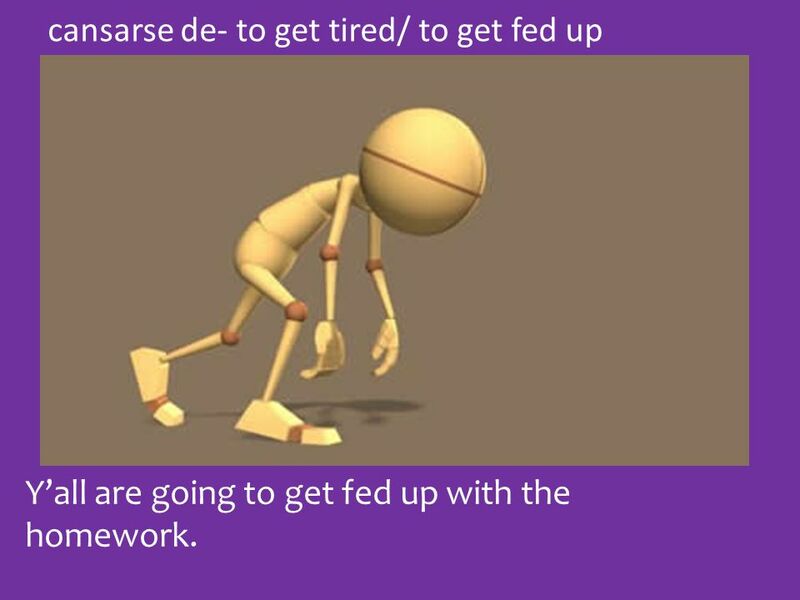 22 cansarse de- to get tired/ to get fed up Yall are going to get fed up with the homework. 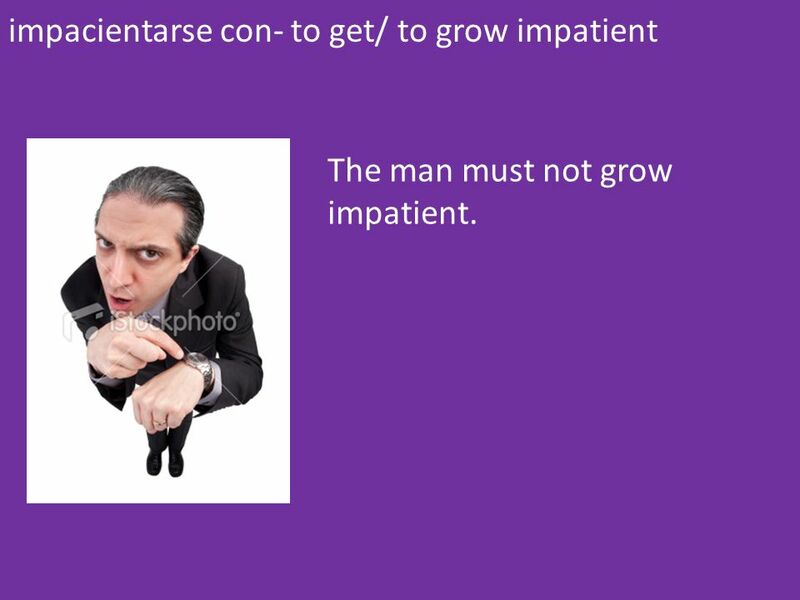 23 impacientarse con- to get/ to grow impatient The man must not grow impatient. 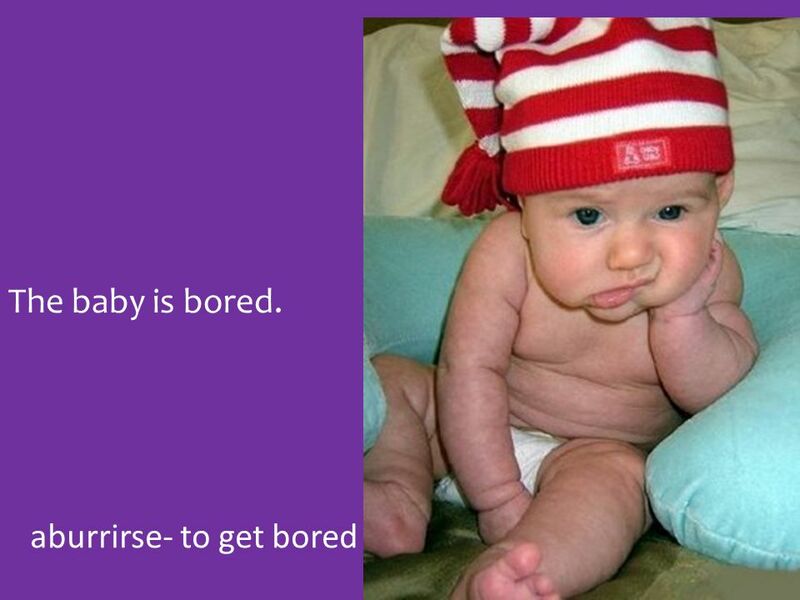 24 aburrirse- to get bored The baby is bored. 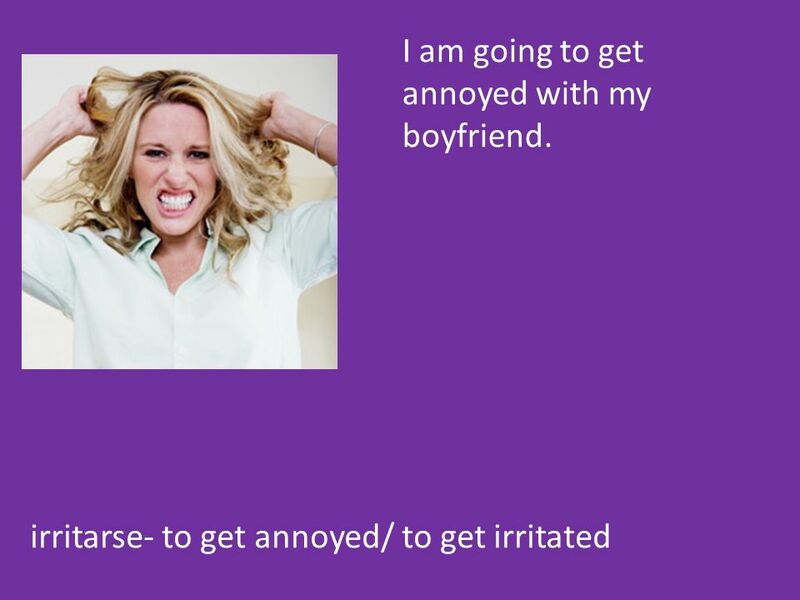 25 irritarse- to get annoyed/ to get irritated I am going to get annoyed with my boyfriend. 26 divertirse (e-ie)- to enjoy onself They are going to enjoy themselves. 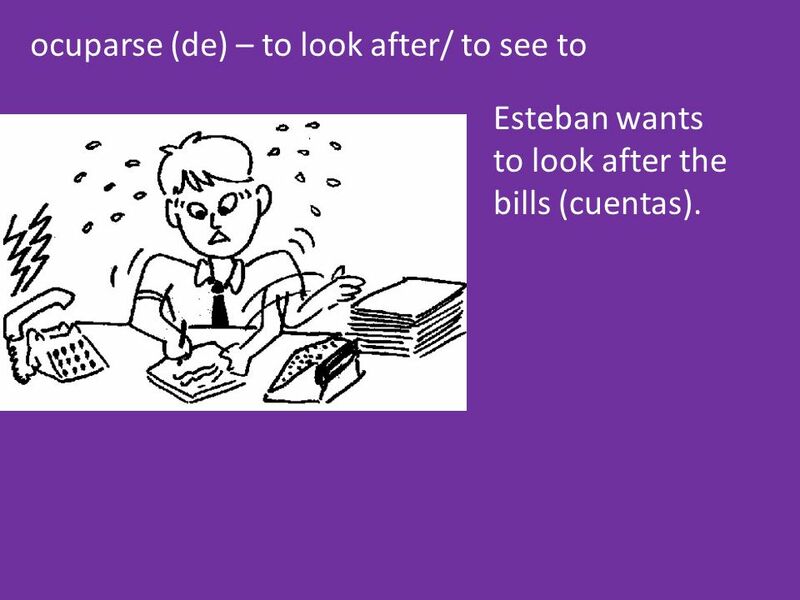 27 ocuparse (de) – to look after/ to see to Esteban wants to look after the bills (cuentas). 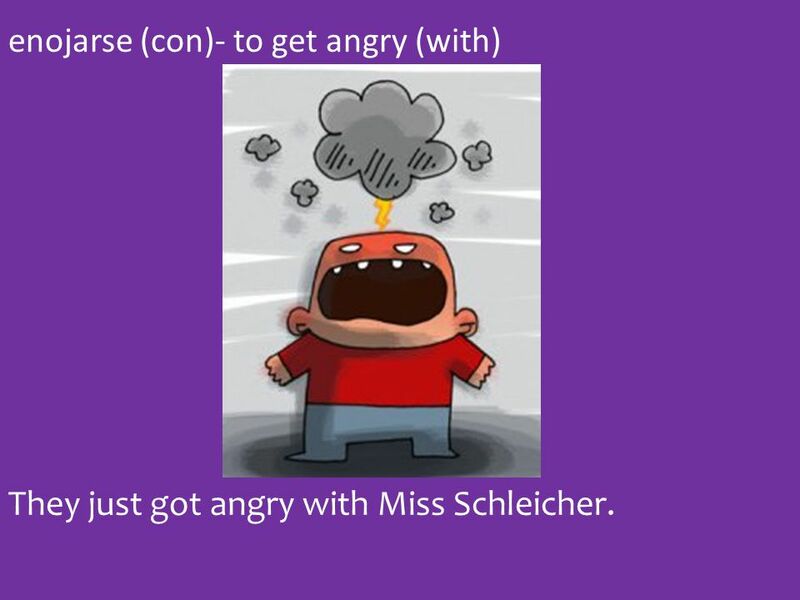 28 enojarse (con)- to get angry (with) They just got angry with Miss Schleicher. 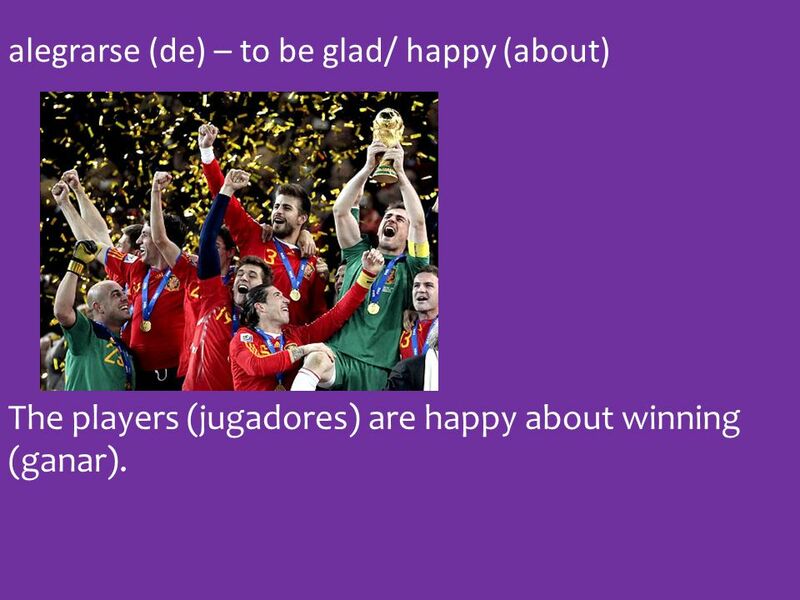 29 alegrarse (de) – to be glad/ happy (about) The players (jugadores) are happy about winning (ganar). 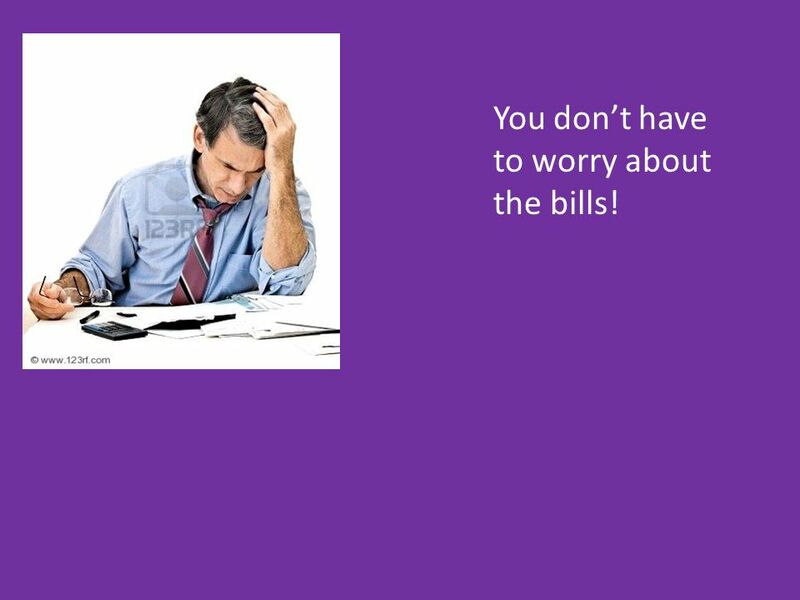 30 preocuparse (por) – to worry/ get worried (about) You dont have to worry about the bills! 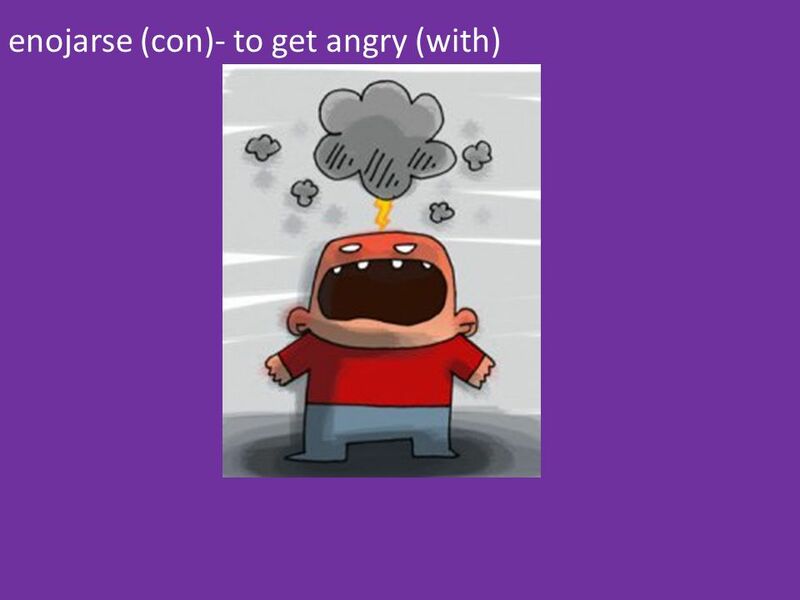 31 molestarse- to bother/to annoy Carlos was just annoyed. 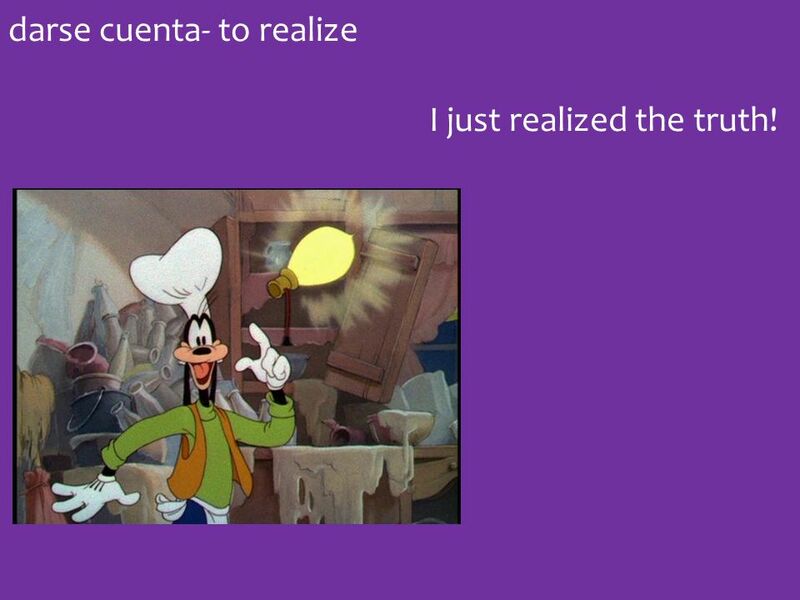 32 darse cuenta- to realize I just realized the truth! 33 sentirse + un adjetivo/ una emoción – to feel I feel frustrated! 34 reírse (e i) – to laugh The boys always laugh a lot. 35 burlarse (de)- to mock/ make fun (of) You must not make fun of others (otras). 36 portarse bien- to behave well We know how to behave well. 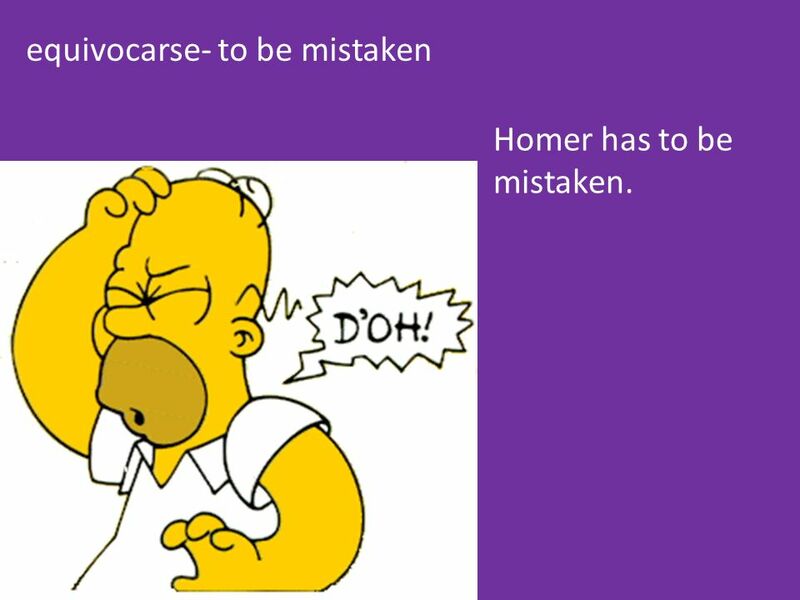 37 equivocarse- to be mistaken Homer has to be mistaken. 38 pelearse (con) – to fight (with) The boys do not have to fight in the rotunda. 39 quejarse (de)- to complain/ whine (about) Yall are going to whine about the test. 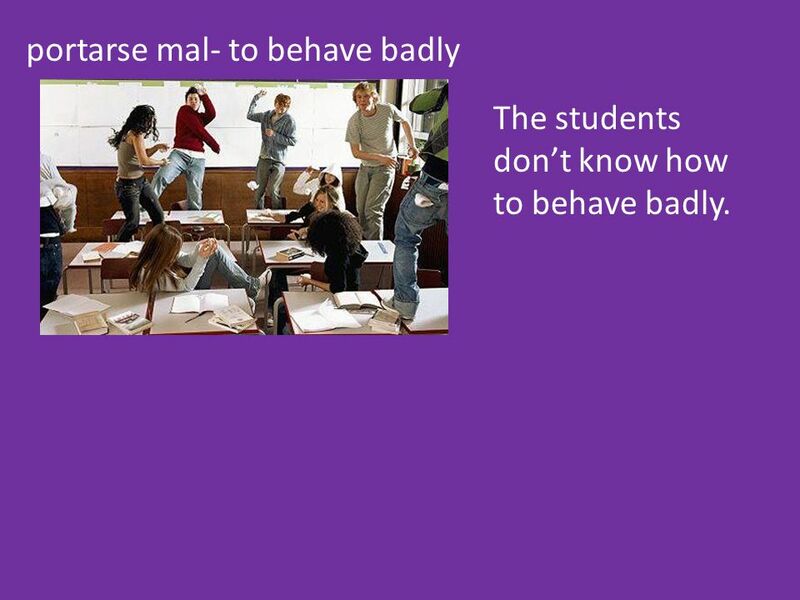 40 portarse mal- to behave badly The students dont know how to behave badly. Download ppt "En la columna a la izquierda, escriban el termino y el significado en inglés." 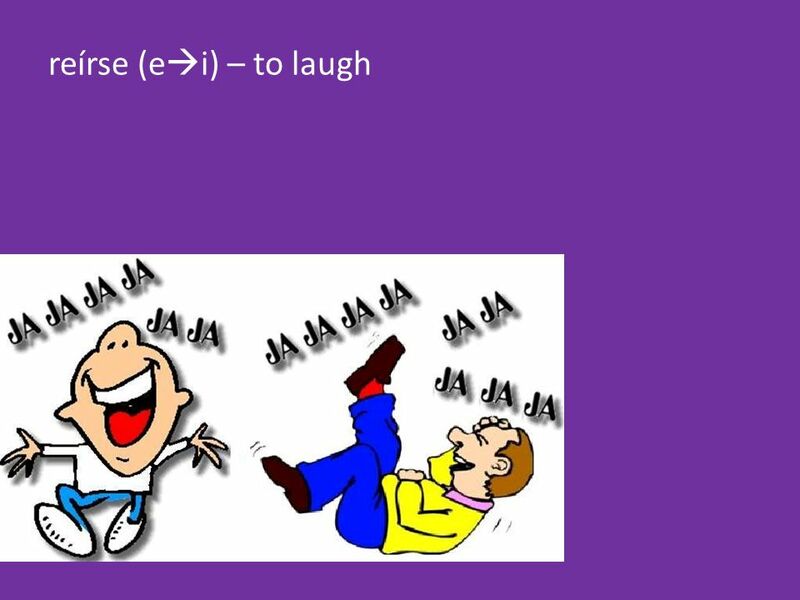 Español 2 Sra. 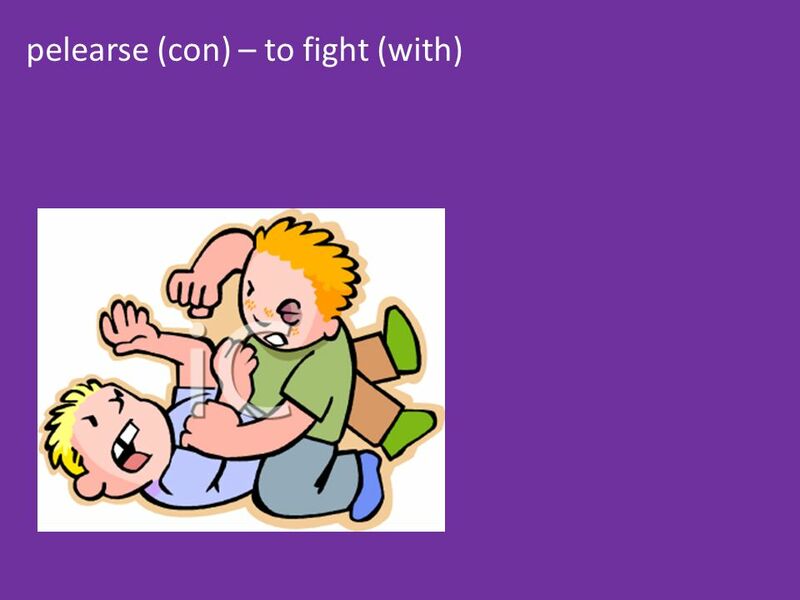 Lear. 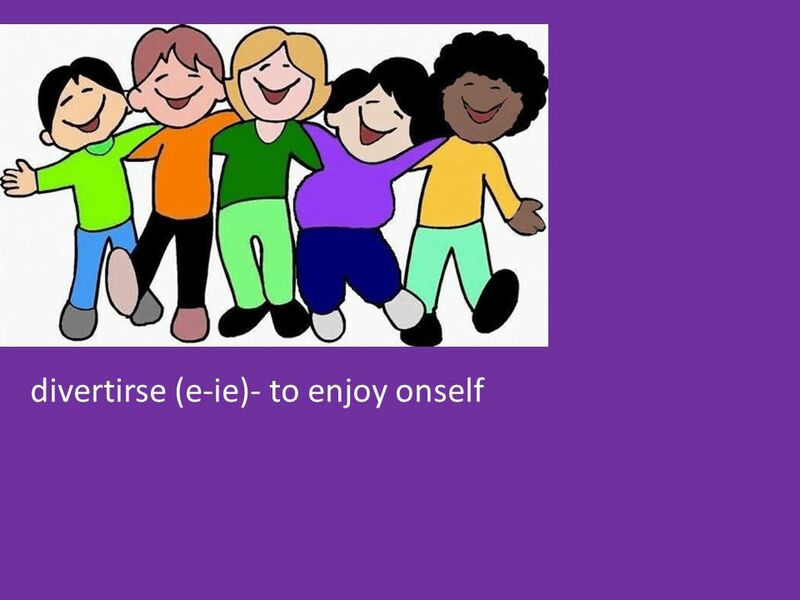 Youve already learned that you can use direct object pronouns (me, te, lo, la, nos, los, las) with verbs. In this photo the girl. Español 3 Capítulo 1 Parte 1 Página admirar To admire. Saquen una hoja de papel. 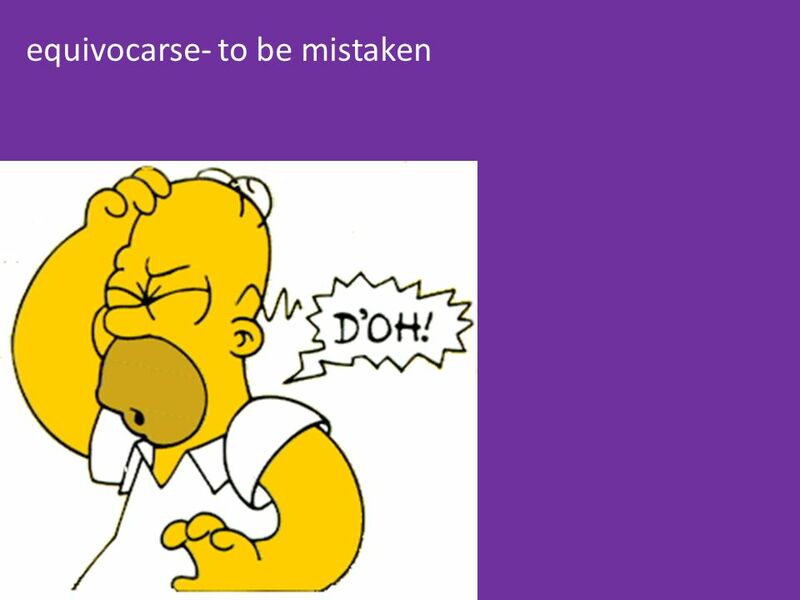 Escriban sus nombres y el periódo de su clase. Escriban el título: Evaluación personal 1A Contesten todas las preguntas. Evaluación. "Itinerario De Mi Viaje a (your destination)"
Español Maestra Diaz Northwoods Park Middle. 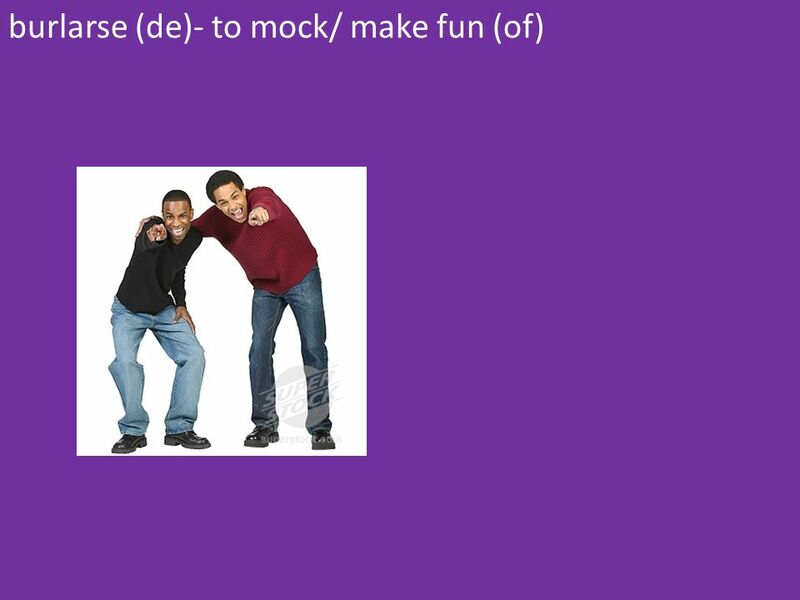 Useful Phrases Useful phrases are words that we will begin using to communicate with one another while we. 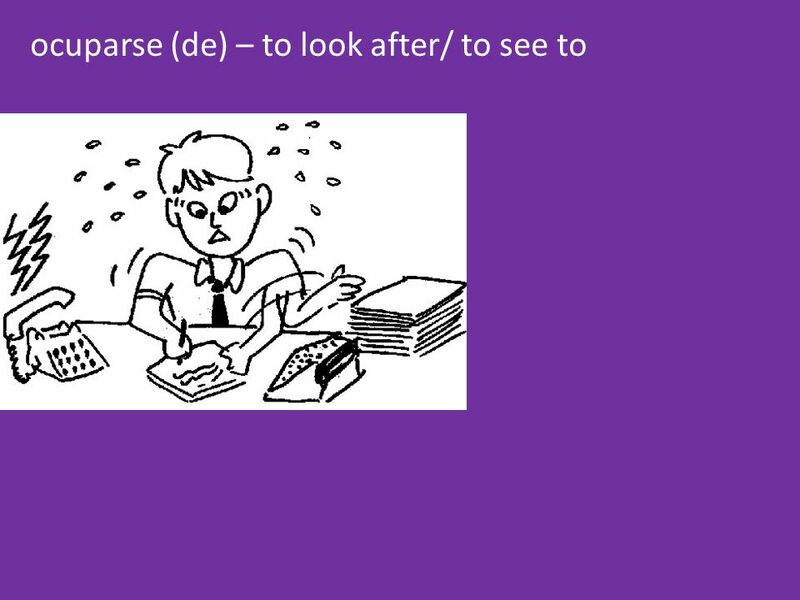 Reflexive Verbs. Bellwork Translate. Translate. 1. I couldn´t grab the keys. 1. I couldn´t grab the keys. 2. Ana brought the umbrella. 2. Ana brought. 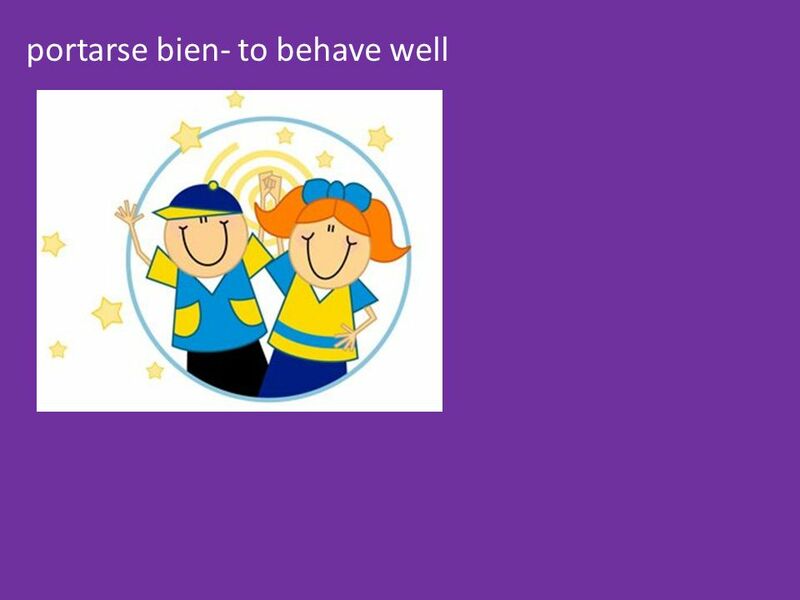 Español 2, Capítulo 4B Recuerdos del Pasado to hug abrazarse. Español 2, Capítulo 6A La Televisión y el Cine. the fan El aficionado, -a. 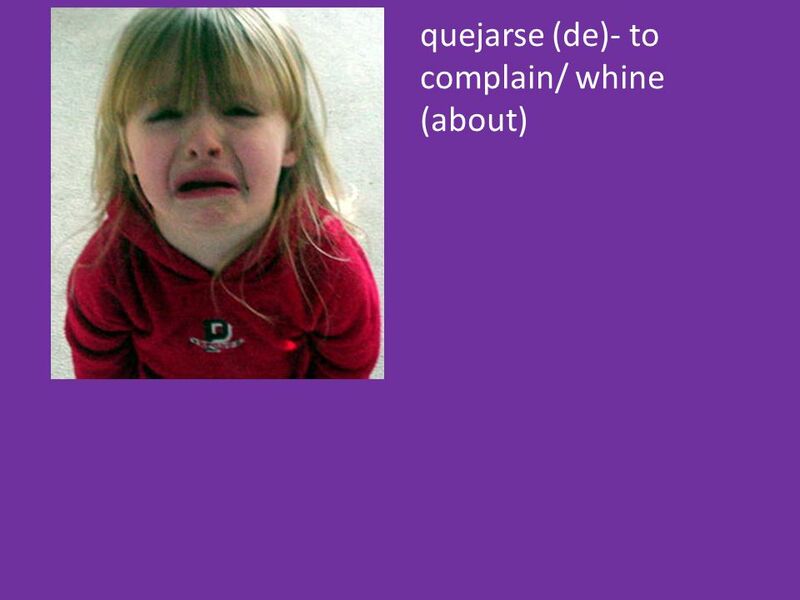 When I Get Angry at School. I like to come to school.